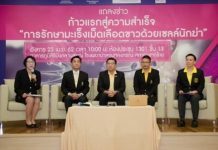 BANGKOK, Aug 24 – Thai Army Commander-in-Chief Gen Prayuth Chan-ocha on Wednesday conceded that the security and protection measures for local residents in the three insurgency-plagued southern border provinces are still not fully effective but pledged that the army has addressed the violence by strictly adhering to the rule of law. 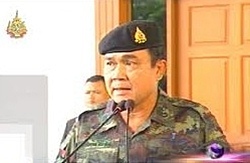 The army chief said regarding the unrest in the three southern border provinces of Yala, Narathiwat and Pattani that violence continues for several reasons including vested interests, violations of the law, local politics and actions by separatist groups. More than 4,300 people have been killed since violence erupted in the Thai-Malaysian border provinces in 2004. Every government has a policy to solve this problem and the situation has improved, but not one hundred per cent as casualties remain, Gen Prayuth said. The perpetrators want to put pressure on the government and demonstrate that they have power over the state by causing violence, the army chief said, suggesting that the problem should be dealt with by all means at hand, not only by using force in raids and detaining suspects. The army chief added that if both security agencies and insurgents continue to use force against each other, the conflict will never end. He noted that one cause of the unrest is the conflict focused on history and ethnicity. 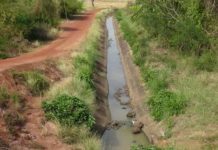 The army chief urged local residents to use self-protection measures for their safety such as avoid travelling via unsafe routes during the night time and travelling with security protection units. 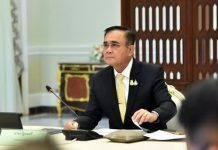 “Deployment of army personnel in the southern border provinces can be readjusted if the situation improves, while Army Rangers are more versatile in proactive security operations and in mountainous areas,” Gen Prayuth said.